Everyone recognizes that the high cost of health care in the U.S. is a chronic problem, the fallout from which is hurting patients, constraining providers and preventing the nation from marshalling adequate resources to address other essential needs. As noted in this space earlier this month, the Affordable Care Act, the legislation that governs the basic framework for health care delivery, has fallen well short of what’s required to control costs. The Centers for Medicare and Medicaid Services reports that expenditures on health care reached $3.5 trillion, or about 18% of GDP, in 2017, and will grow to $5.7 trillion, or 19.7%, by 2026. Compared to other developed nations, the U.S. spends roughly twice as much per capita on health care. The situation clearly calls for serious, sustained action from policy makers and stakeholders in the private sector. It’s equally clear that the work will have to be done with a scalpel, not an axe. A study published in the January edition of Health Affairs illustrates the complexity of balancing cost versus value when treating patients. Prepared by executives at the National Pharmaceutical Council and RTI Health Solutions, the report — “Considering Health Spending: What’s Been the Bang for the Buck?” — analyzes expenditures and outcomes for seven common chronic conditions over a 20-year period. The examination of costs associated with treatment for the seven ailments — ischemic heart disease; cancer of the trachea, bronchus or lung; breast cancer; HIV; cerebrovascular diseases; COPD; and diabetes — concludes that inflation and increased prevalence of the health conditions accounted for most of the spending hikes. Further, with the exception of COPD, the increased investment resulted in gains in disability-adjusted life-years. “Investing in medical care can create enormous value for society,” says Michael Ciara­metaro, vice president of research at NPC and one of the study’s authors. “For example, per-patient spending on lung cancer dropped more than $10,000 between 1995 and 2005, even as the average patient lived a longer and healthier life. The cost-effectiveness ratios for specific diseases employed in the research exemplify the type of fact-based tools needed to improve the nation’s troubled health care system. Political ideology needs to take a back seat to rational thought, or rampant health care spending will eventually lead the country to financial ruin. The cost of pharmaceutical products, particularly for innovative medicines just entering the market, should play a significant part in those calculations. Drug prices continue to generate a considerable amount of controversy. The Trump administration and many legislators from both political parties have harshly criticized pharmaceutical manufacturers over the ­issue. 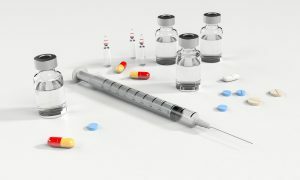 Republicans and Democrats in Congress are discussing a range of bills intended to rein in rising drug costs, including measures that would enable the federal government to negotiate the price Medicare pays for prescription medications; legalize drug importation from Canada; and link costs for drugs purchased by the government to those in other developed countries. At presstime, President Trump was reportedly planning a meeting of pharmaceutical industry executives at the White House to scold them about the round of price increases announced at the beginning of the year. Prescription drugs are expensive and, like other aspects of this country’s health care system, pharmaceuticals need to be held up to close scrutiny. The growing burden that high prices put on many patients amid the ongoing consumerization of health care is frequently cited. What’s often overlooked is the value that prescription medications, used as directed by physicians and pharmacists, create for the people who take them and the health care system as a whole. CMS reports that of the $3.5 trillion a year Americans currently spend on health care, $333.4 billion, or about 10% of the total, is devoted to prescription drugs. Granted, medications are often expensive — and in a handful of high-profile cases egregiously so — but costs (which, among other things, need to cover the estimated $2.18 billion it takes to bring a drug to market, according to Deloitte) must always be weighed against benefits. The authors of “Considering Health Spending” understand the complexity of the task, a challenge that grows exponentially when the goal is finding the best way to bring health care spending in the U.S. into line with that in other industrialized countries without diluting quality or stymieing innovation. An analytical approach to the problem is the best hope for bridging the political divide in Washington and putting the health care system on a sustainable course for delivering favorable patient outcomes at the lowest possible cost.